Democracy for Monroe County would like to invite all local voters to meet this year’s democratic primary election candidates. We have two evenings scheduled for debates, Monday, March 21 and this one, Tuesday, March 29th. 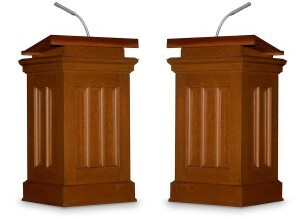 This, the second of our democratic primary debate nights, will have three sets of candidates. Each segment runs approximately 45 minutes. First up are the County Commisioner District 3 candidates including: Amanda Barge, John Whikehart and Rick Dietz. Next is the Monroe County Auditors race with: Terri Porter, Kevin Easton, and Catherine Smith. Last but not least, we have the Monroe County Treasurers race with: Jessica McClellan and Hans Huffman. We hope all interested local citizens can make it to our event and join in our effort to help our local citizens to become better informed voters. Please note that this evening will begin at 6:30 pm, rather than 6:45 pm like the previous debate evening, so that we can take full advantage of the time available to get to know the candidates. If you have questions for the debaters, please submit them via email to robertdeppert@gmail.com by two days prior to the debate you are interested in.